The North Korean communist regime uses a global network of front companies to make purchases and conduct business, evading U.N. sanctions. International banks are now trying to identify and cut ties with these companies. The U.N. Security Council recently passed two rounds of sanctions against North Korea at the behest of the Trump administration. China, North Korea’s largest supporter, has agreed to enforce these sanctions. In late September, China gave North Korean companies 120 days to close down. China’s central bank told other banks to follow the U.N. sanctions, deny services to new North Korean customers, and begin winding down loans with existing North Korean customers. 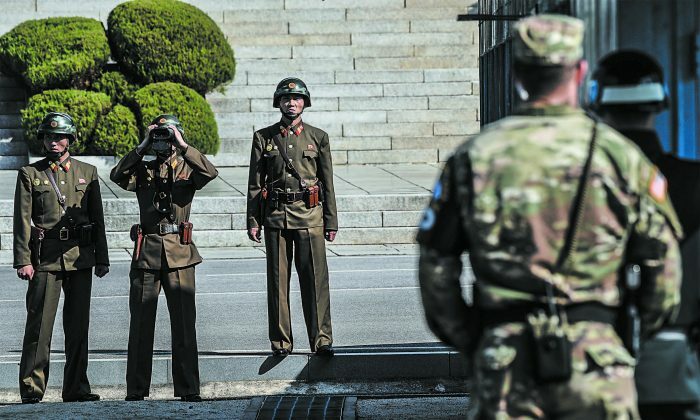 Tracking down the North Korean front companies is tricky business, however. The report notes that the companies use “a series of perpetually evolving sanctions-evasion schemes” and that, despite international embargoes, North Korea has advanced these capabilities. Its methods take advantage of irregularities in international laws for registering corporations and opening bank accounts, which make it difficult for banks to know who is behind the front companies. In order to maintain its global business, North Korea uses a network of corporate intermediaries and complicit banks, as well as other methods. Sometimes it may be a network of one company owning another company. Sometimes transactions are made through intermediary countries that refuse to share data. And some even more elaborate tricks are used. Furst noted that for corporations, “there’s a push globally to get more transparent ownership.” Currently, he said, it’s difficult even in the United States for banks to determine who is behind a given company. In the past, Furst said, sanctions were often enforced by a list of names, and if a drug dealer, for example, were on the list, all the companies fully owned by that individual would also be there. This rule was updated slightly in 2008 to include companies that are at least 50 percent owned by a person on the list. Due to the complexities of how company ownership is determined, however, this still leaves plenty of loopholes. Furst noted that a person could have 25 percent ownership in a company, have a secretary open an account, or even register a company as the owner of it. According to the report from ACAMS MoneyLaundering.com, however, banks are currently trying to map out North Korea’s complex business network. It quotes Jende Huang, a member of the Wells Fargo financial crimes intelligence group, stating at the recent ACAMS AML & Financial Crime Conference in Las Vegas that the group has begun analyzing 12 North Korean front companies identified by U.N. officials. It says Huang estimates that about 11 percent of the 1,500 entities whose transactions were mapped out by Wells Fargo from 2013 to 2016 had likely moved funds from North Korea. The methods used by the front companies would not have been detected by conventional transaction monitoring, according to Huang. An unnamed compliance officer for a large European lender told ACAMS that his bank had conducted its own investigation and found that North Korean front companies often share common traits. The North Korean front companies, the officer said, often hold a Chinese bank account, have no public footprint, and list their addresses in one of two Chinese provinces near North Korea. “These intermediaries tend to purchase highly specialized parts from arms manufacturers in European countries such as the Czech Republic and sometimes purchase raw metals and other goods from Europe as well,” the report states.